Under the direction of Cynthia von Buhler, Speakeasy Dollhouse has become one of the most prolific creators of immersive theater in New York City having staged six hit plays including: The Bloody Beginning (The Back Room), The Brothers Booth (The Players Club), The Girl Who Handcuffed Houdini (Theatre 80), The Illuminati Ball Immersive Excursion (Secret Location), and The Illuminati Ball New York City (Weylin). 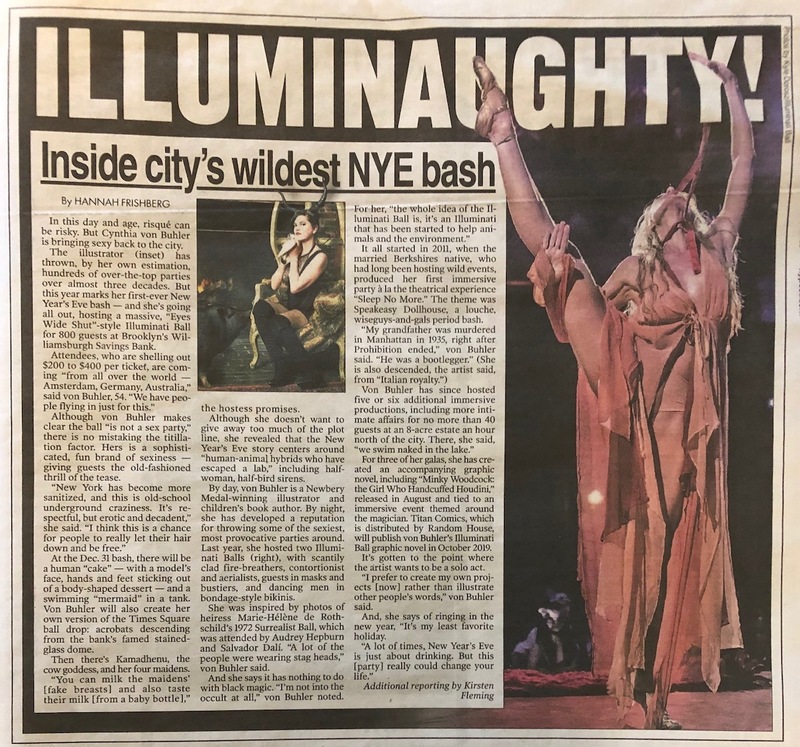 PKPR placed a full-page feature on the special one-night-only performance of the immersive theater hit at Brooklyn’s The Weylin on New Year’s Eve. Other coverage included Gothamist, Time Out New York, The Sun, PureWow, Maxim, MyDomaine, Untapped Cities, Secret NYC, What Should We Do?, and IDK Tonight. New York audiences were be transported back to 1926 to experience a world of mysterious speakeasies, backstage intrigue, and hotel room affairs as they unraveled the untimely death of legendary illusionist Harry Houdini in The Girl Who Handcuffed Harry Houdini, the latest immersive theatrical production from playwright and director Cynthia von Buhler and her production company, Speakeasy Dollhouse. Check out The Madador Network’s awesome Facebook video (which has over 200,000 views) and coverage and reviews in Time Out New York (One of the top 7 things to do this week), New York Magazine’s Bedford + Bowery, BlackBook, Inside Hook, Bowery Boogie, and Broadway World. 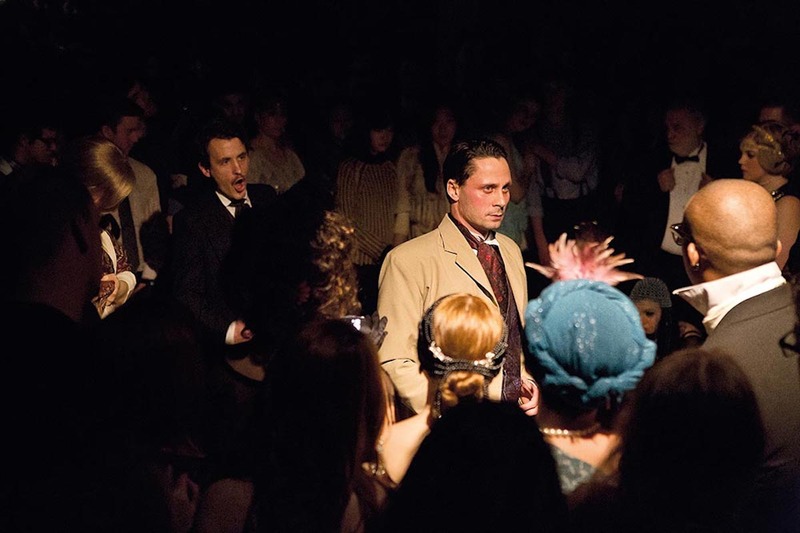 For one Saturday night each month, New Yorkers are invited into the members-only Players Club, the historic mansion on Gramercy Park, for The Brothers Booth, a new immersive theater experience by the creators of the long-running downtown hit Speakeasy Dollhouse. Coverage of The Brothers Booth includes an in depth feature in The New York Daily News, as well as New York Observer, DNAInfo, Inside Hook, Pure Wow, and Untapped Cities. 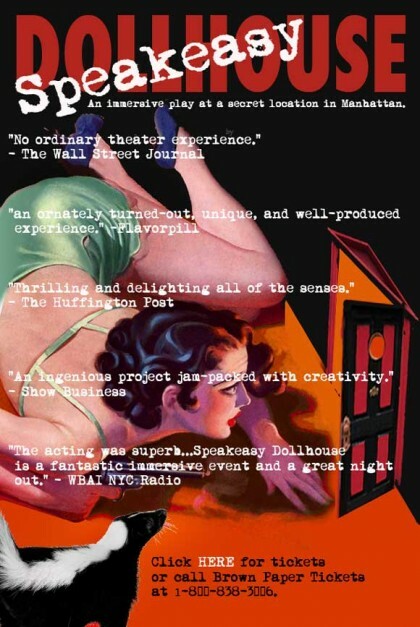 With the fall theater season kicking into gear, PKPR continues to secure ongoing coverage for Speakeasy Dollhouse. Recent highlights include a cover story on immersive theater in American Theater Magazine, an interview with creator Countess Cynthia Von Buhler in Salon.com, a feature in Metro, and best of the weekend picks in DailyCandy, PureWow, and Guest of a Guest. 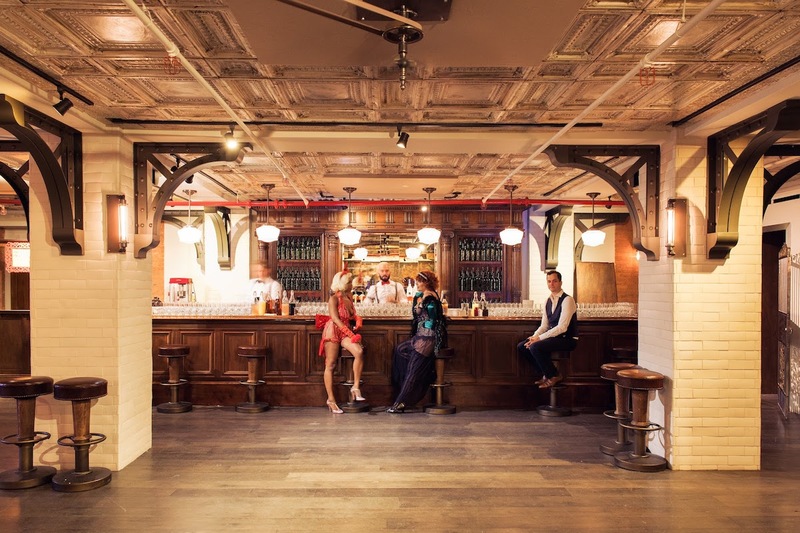 As it embarked on its third season, Speakeasy Dollhouse tapped PKPR to develop a campaign to garner renewed press attention for the play and to position it at the forefront of a new wave of immersive theater productions in New York City. PKPR worked on three fronts: inviting critics to review the play for first time, pursuing profiles and interviews with the play’s creator Cynthia Von Buhler, and placing features and round-ups on the emerging trend of immersive theater.